2017 Numerology 1 Predictions forecast that there will be quite a few transformations in your life in 2017 as per the numerology forecast for the year. Number 1 has a significant place in numerology and it indicates the beginning of things in life. All number meanings in numerology have both positive and negative traits and personal year number 1 for 2017 is no exception. The article tries to explain the good things and bad things of Number 1 in detail and how they will impact you during the year. Number One year is both a conventional and an original year. This number is indicative of fresh beginnings and explorations in the journey of life. People with personal year number one will in all probability experience a spiritual revolution in their lives in the year 2017. 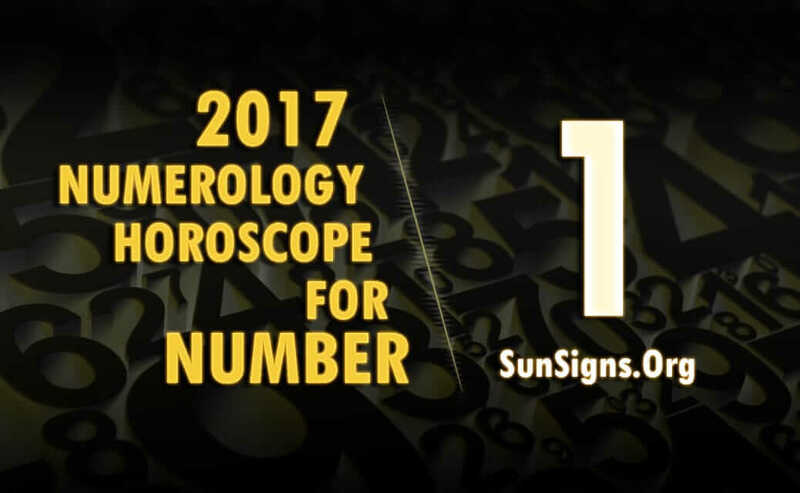 2017 numerology horoscope for number 1 indicates evolution in the life of the person. This may be in the form of making suitable changes in the personality to become a new entity. It may also mean trying to discover your original qualities and sticking to them. Either way you will become a changed person during the year. Personal year number 1 comes with abundant vigor which will be the main force behind your change of character. The transformation will not be sudden and likely to be gradual and may not be perceived. It is up to you to use the energy available and make the important modifications to your life in 2017. The numerology horoscope 2017 for number 1 shows that you will be driven to accomplish all incomplete projects in life on which you have been procrastinating so far. You will be provided with the force and inspiration to convert your dreams into actuality during 2017. You will be able to overcome all difficult situations in life with ease as you have plenty of power and enthusiasm. The number 1 numerology horoscope predicts that this year has its share of negative happenings like any other year in numerology. The number gives you enormous amount of power. While this extra energy will help you to accomplish whatever you want without much effort in 2017, you will in all probability overlook the complexities involved in achieving it. You will not be fully equipped to face the hardships when they crop up. Get your free numerology reading for 2017 to know more. Numerology 2017 horoscope for number 1 foretells that you will not brook any opposition on your way to accomplish your goals and will come down heavily on people who are skeptical about your strategies to achieve your targets. You will be fanatical about your objectives and will leave no stone unturned to attain them. You will be highly courteous with your friends who have faith in your projects and methodology. The personal year 1 2017 promises that there will be progress in whatever you do. Number 1 stands for change and development. Hence you can rest assured that there will be modifications to your life irrespective of the path you follow. Transformation will be innate and will be accompanied by spiritual awareness in 2017. Number symbolism for 1 shows that by nature it is a plain and uncomplicated number in numerology and signifies simplicity. The number one ensures a definite transformation in life which will be for your betterment. The 2017 numerology horoscope for number 1 forecasts that there will be hazards on your way. But you will have no problem in conquering those obstacles in the year 2017. You are extremely lucky to have Number 1 as your personal number in the year 2017. It is up to you to make full use of the potential of this symbolic number.